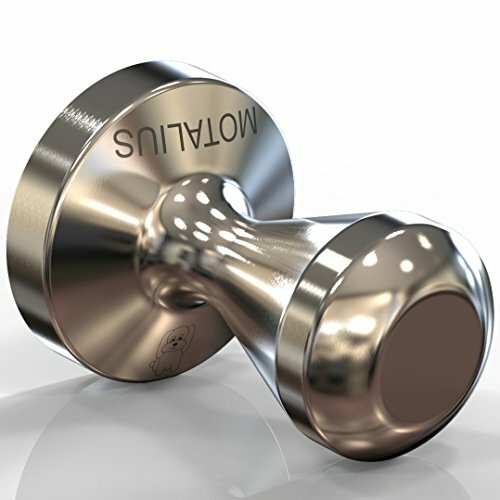 Motalius Stainless Steel Coffee Tamper 58 mm Base. Perfect for tamping fresh ground coffee before brewing. Gives best tasting coffee by creating optimum coffee extraction. 100% Food / Drink SAFE high-grade stainless steel. Rust free. Solid one piece smooth design with no 'nooks and crannies' where dirt or germs can get trapped. Lifetime of use and satisfaction. Suitable for both commercial and home use. Lifetime guarantee. Quality assurance guarantee. If you have any questions about this product by Motalius, contact us by completing and submitting the form below. If you are looking for a specif part number, please include it with your message.